It was Jackie Cunningham’s first international placement in Cambodia with the University of Newcastle that solidified her decision to pursue a career improving oral health in disadvantaged communities. “Seeing young children in pain and adults with no teeth because they’d never had access to oral healthcare was really confronting, but I thought to myself ‘this is exactly where I need to be’,” she explained. Having previously worked as a dental assistant in Sydney, her experience in Cambodia was a significant awakening to the disparity in healthcare around the world. “I was obviously aware that a lot of people don’t have access to the same resources we do, but seeing it firsthand really opens your eyes to the inequality,” she explained. Jackie is one of more than 500 students set to celebrate the culmination of their studies at the University of Newcastle’s Ourimbah campus this week, where she will graduate in the first cohort of the University’s new Bachelor of Oral Health Therapy program. The only degree in NSW which qualifies graduates to treat both children and adults with hands-on training incorporating ground-breaking simulation, the University of Newcastle’s Bachelor of Oral Health Therapy opened doors Jackie never expected. “As well as my experiences overseas in Cambodia and West Timor, I had the opportunity to complete my clinical placement with the University’s oral health van at the Ungooroo site in Singleton, which offers services twice weekly to Indigenous children in the area. 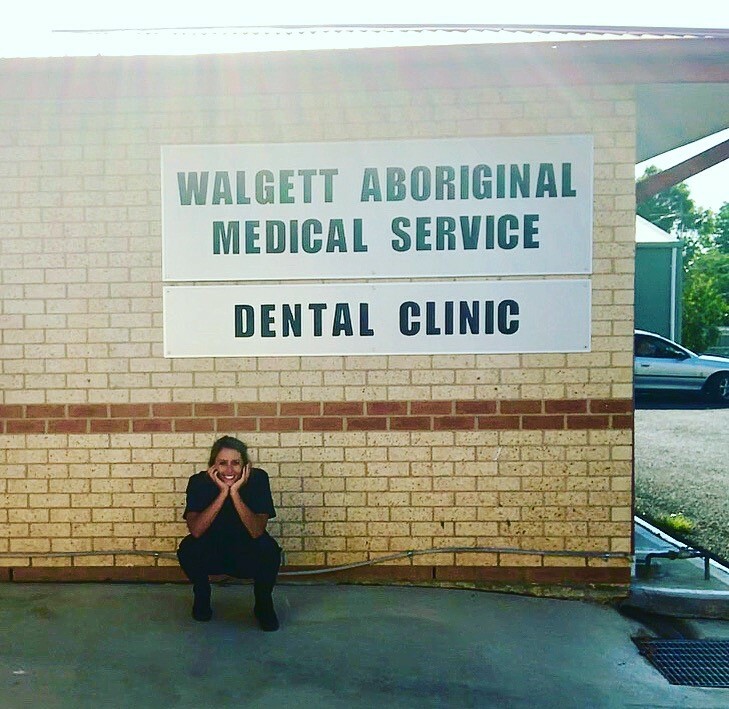 Sparking a passion for closing the gap on Indigenous health, Jackie has continued her outreach work and since finishing her studies, secured a role as a fly-in-fly-out Oral Health Therapist for Indigenous communities in Walgett. 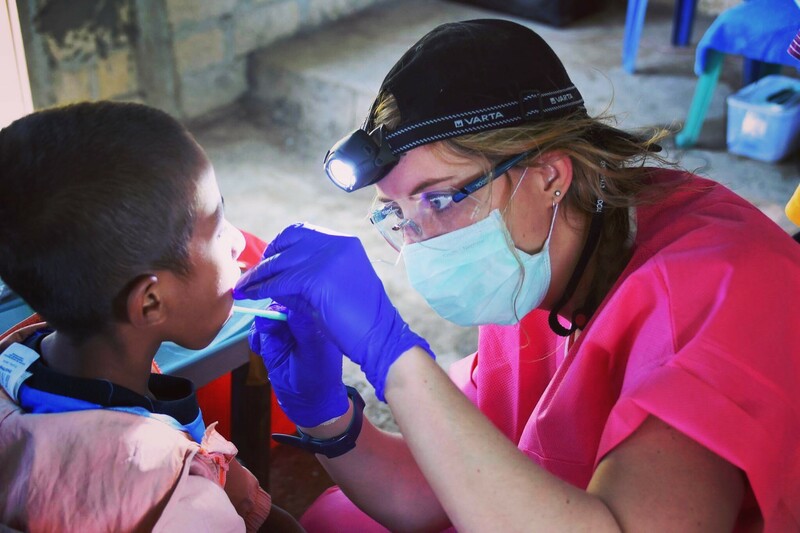 “I fly out there twice a month to provide an oral health service to the community. “I see something new every single day in Walgett – three year olds with problems so severe and their parents have no idea of the severity; adults missing teeth or needing all their teeth pulled out as the damage is too far gone after years of neglect,” she said. Focused on increasing the education around the importance of dental health from a young age, Jackie is working to increase early intervention and break through the negative stereotypes associated with dentists. “I go and do the breakfast club at the school there on a Tuesday morning, which involves helping serve the breakfast and getting some face time with the kids. “I hope I can help provide an education to ensure they understand being in pain isn’t the norm and we’re here to help,” she explained. Gearing up to graduate, Jackie reflected on the role the University of Newcastle has played in shaping her journey. “I loved studying at Ourimbah because we’re afforded hands-on opportunities you don’t get elsewhere. The cohort is small and everyone knows each other, so it’s an incredibly supportive environment,” she said.